Light version which can hold up to 1,000 rooms. Standard version with unlimited number of rooms capability and access to most of the functions of the program. Professional version which comes as a multiuser system with one user and ability to add licenses for more users. Gives you access to all functions of the program. The Light version is ideal for small, new cleaning companies with few employees, or for small institutions (schools, old-age homes, small companies) with a small space inven-tory. This is an ideal tool for the new beginner in the business. 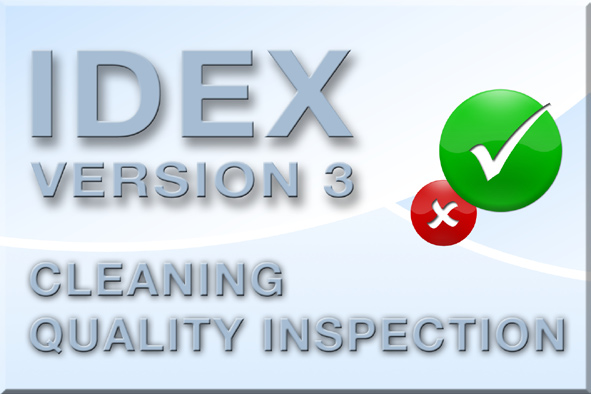 The Standard version is the right tool for small companies where the re-sponsibility of maintaining space inventory and planning of the cleaning operations lies with one employee. In the Standard version you can assign up to 20 work assignments per customer/client. The Professional version (multiuser version) is for large companies and institutions where several employees frequently need access to the system. This version is normally delivered with access for 1 user but the number of users may be increased in line with the need for more users. There are no limitations in the number of rooms or work schedules in the professional version. This version is thus frequently used in large cleaning firms having a need of planning work for more than 20 persons per customer/institution. The system can always be expanded, e.g. from the Standard version to the Professional version. You will only pay the difference between the two versions of the program and will then receive a new registration certificate. The program may be expanded with an App (IDEX) for Smartphones, for quality measurements in the field. The program may be expanded with Android-based Smartphones and Tablets for quality measurements in the field. 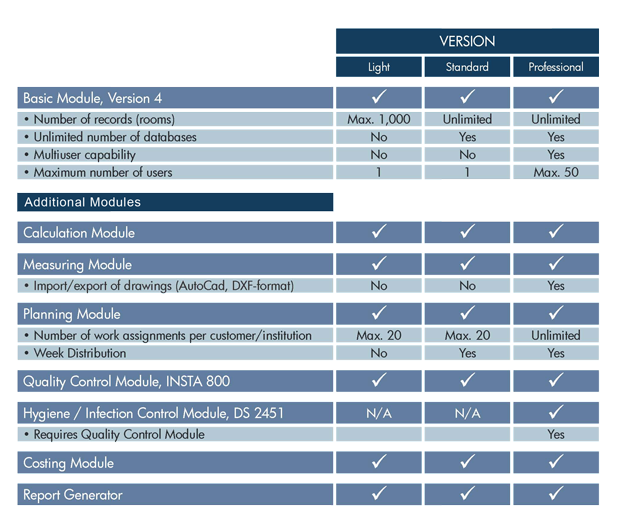 This solution will provide you with the ultimate tool for fast and easy collection of data used in the INSTA 800 quality evaluation and in the evaluation of the infection hygiene in healthcare facilities. Once you have prepared your quality control parameters in the Quality Control Module of the program you can transfer all rooms to be controlled to your Smartphone. This may be achieved direct by connection to your PC, or via the Internet (FTP transfer) to superintendents not in the vicinity of your office. With your Smartphone you can start your inspection and enter your observations directly into your Smartphone. After the inspection is completed your Smartphone is synchronised with your work station and all inspections are transferred to The Cleaning System. After inspection data is transfer back to the desktop, the software will then automatically calculate if the quality is above or below the agreed level.